The holidays are quickly unfolding and while they bring joy and a time of reflection, they can also be enormously stressful for the family and caregivers to someone with Alzheimer's. How to make the holidays meaningful for the loved one with dementia can be challenging. 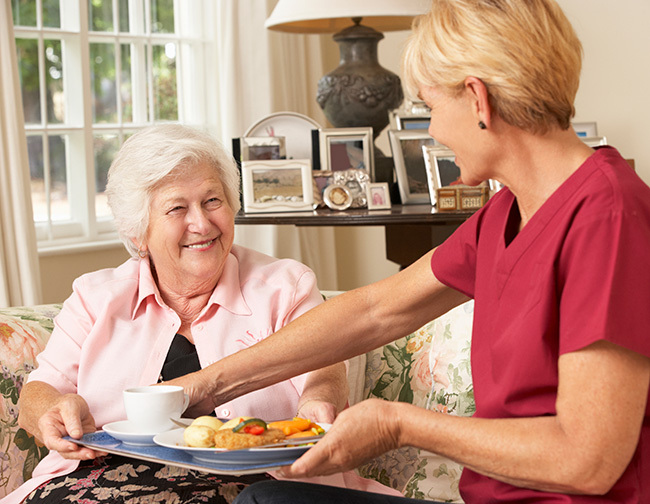 As always, as caregivers, our job is to meet the one with dementia where they are. We are always learning how to care for someone with Alzheimer's or another form of dementia and have to be prepared to simplify our expectations and prepare for the unexpected. With the holidays quickly unfolding before us, it can be particularly tricky for the caregiver to navigate what are fun and enjoyable activities for their loved one with Alzheimer's. All activities should be approached with the understanding that all situations are fluid and some may come to an end even before they have begun. Yet there are some activities that may enliven the person with dementia and even evoke years gone by and cherished memories. Find activities that are met with enthusiasm and create new traditions around them. Bake those special holiday cookies or cake. Be elaborate or keep it simple and prepare cookie dough and have it cut and ready for decorations. If baking the cookies is too much for your loved one or you no longer have time, buy premade cookies to frost together to keep the family tradition going. Enjoy holiday movies and music together. Have a bunch of holiday movies at the ready and holiday or not, have music set to play that makes your loved one happy. Get crafty and make garlands of popcorn or colored paper. Or spice things up and make pomanders; you know— the aromatic orange or apple studded with cloves to infuse the holiday with evocative hints of warm holiday pasts. Reminisce. Make a warm beverage of your choosing and go through an old family album with your loved one; perhaps a long ago memory will emerge. Savor holiday events and concerts. Some may be able to enjoy a holiday concert or a small get together with friends and family without experiencing confusion or feeling overwhelmed. But prepare to leave early or redirect your loved one if they start feeling agitated. It's important to continue to include loved ones with dementia in the family, as simply being around those who love them can have positive benefits. Go out in nature. Head to a small nearby park or somewhere your loved one always enjoyed. Take a walk. Or go out in the evening and drive around the neighborhood and enjoy the Christmas light decorations that neighbors are exhibiting for your viewing pleasure. Build a snowman. And last but not least, should the season bring snow your way, put on your hats and scarves, grab those mittens, and go outside and together make a snowman or woman! Finally, be sure that you have the support you need to manage holiday stress and caregiving this season, so that you can partake and enjoy the festivities. Ask your friends and family for support to make things as easy for yourself as you can and to avoid caregiver isolation. Let the people around you know what and how your loved one is doing and how they can support you during these holidays. May the love flow for you and yours this holiday season! 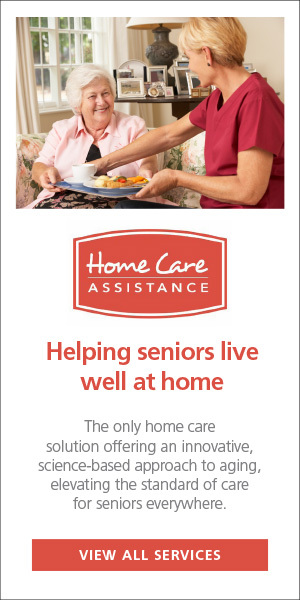 Home Care Assistance provides older adults with quality care that enables them to live happier, healthier lives at home.